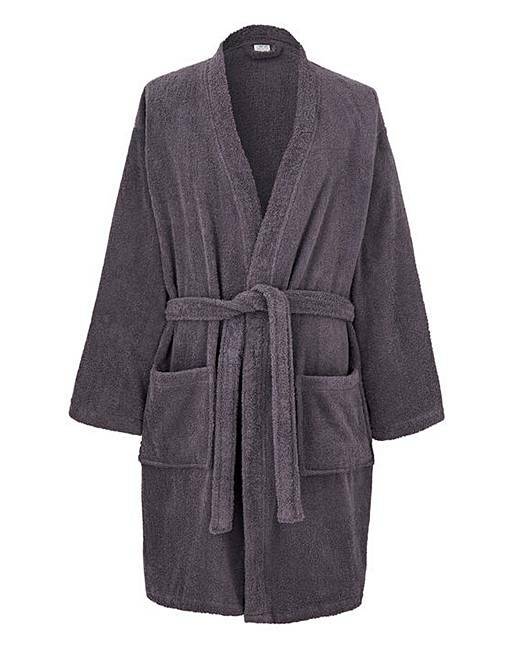 Charcoal Towelling Dressing Gown is rated 4.4 out of 5 by 14. 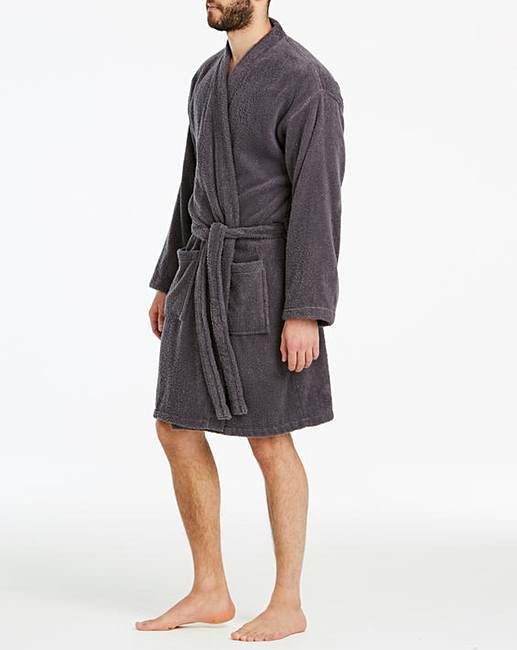 Towelling dressing gown with a waistband tie and two front pockets. Rated 5 out of 5 by clemo from good fit and quality Bought this dressing gown a couple of weeks ago for a hospital visit and found it to be comfortable and just the right size. Good quality materials made for a very cosy experience. Rated 4 out of 5 by madge from Good sizing Glad I bought this, so difficult to locate towelling bathrobes these days! 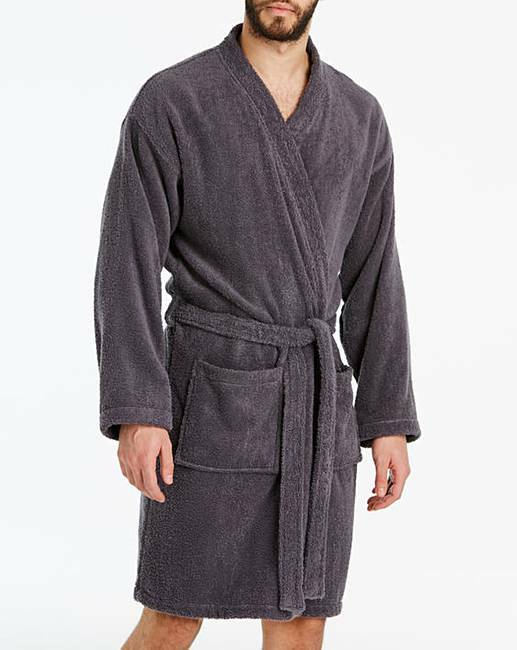 Rated 5 out of 5 by Rebekah from Exactly what I was looking for This was bought as a gift and he loves it, it is not a thick heavy dressing gown but that is not what he was wanting. The colour is great and the fit is perfect. Rated 5 out of 5 by Debz from Excellent Bought this for my husband who loves it. Superb quality. Perfect fit. 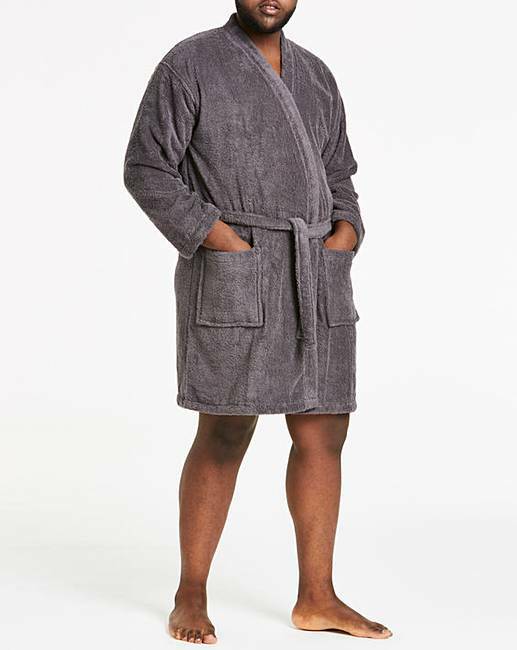 Rated 4 out of 5 by DidleyM from Really comfortable dressing gown Nice fabric and colour, true to size fits well, Good value. Rated 1 out of 5 by snappyone from Far too short!! Way too short!! 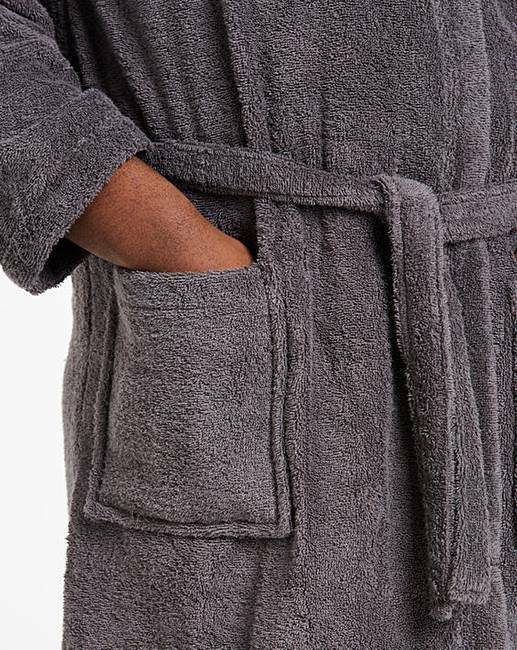 Made of low quality thin towelling - nothing like as good as the old towelling dressing gown I was hoping to replace. Not recommended.